I organized a couple of days off from work to go to the Steens Mountain and meet a few friends there. To accomplish this task, that was the plan: on Saturday I would prep the bike and gear. And on Sunday, September 11th, I would ride the 350+ miles to get there (560+ km) using the same route I had used last year. On Monday I would do a couple of rides there. Tuesday I would take a shorter route back home, about 300 miles. Tight schedule, I know, but work schedules have been tight this year. 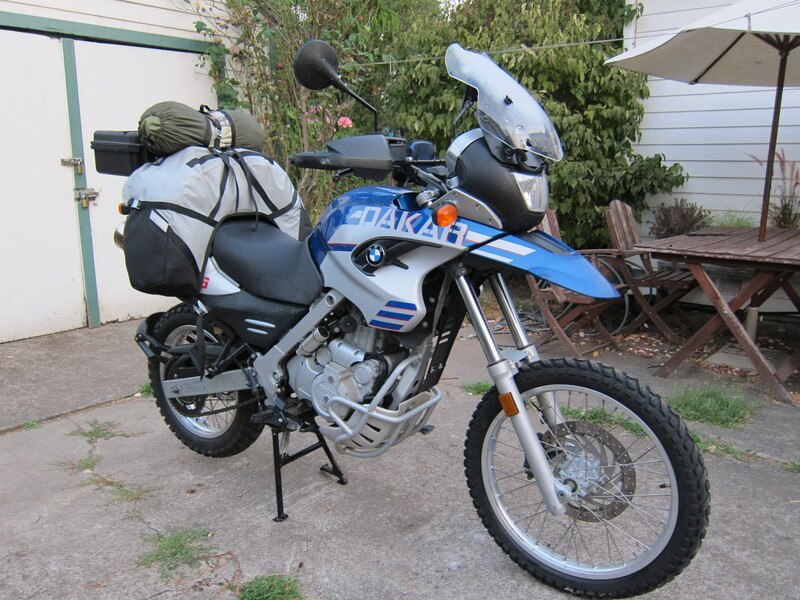 The bike of choice: the BMW F650GS Dakar. I had been to the Steens Mountain in June 2006 on this bike and also last year at this exact time of the year, I was at the Steens with the WR250R (both the 2006 and 2010 reports are posted on this site). I was looking forward to being there again for the beauty of the location and for meeting the friends that would be there. Sunday at 6am the bike was ready and loaded. I really like the Giant Loop bag. It fits the Dakar or the Tiger. Easy to install, steady and light. 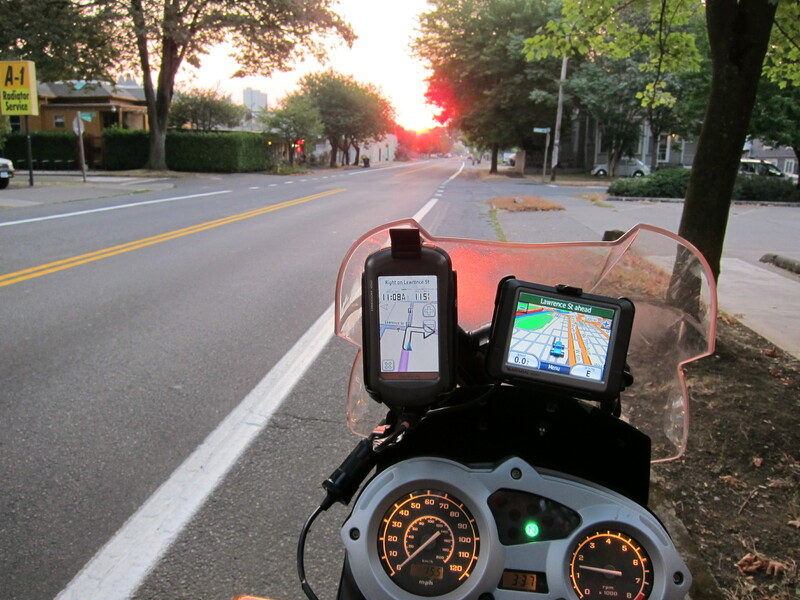 At 7am I was starting the Dakar motor and riding away for the long ride that would take me to get there. The plan: 105 to 126 to 242, to 20 to 97 to China Hat, to Christmas Valley, to Fandango Rd, to Sheep Rock Rd, to Hogback Rd and from there a straight line east towards Frenchglen via Rock Creek rd and a little stretch on 205. All familiar territory for me. 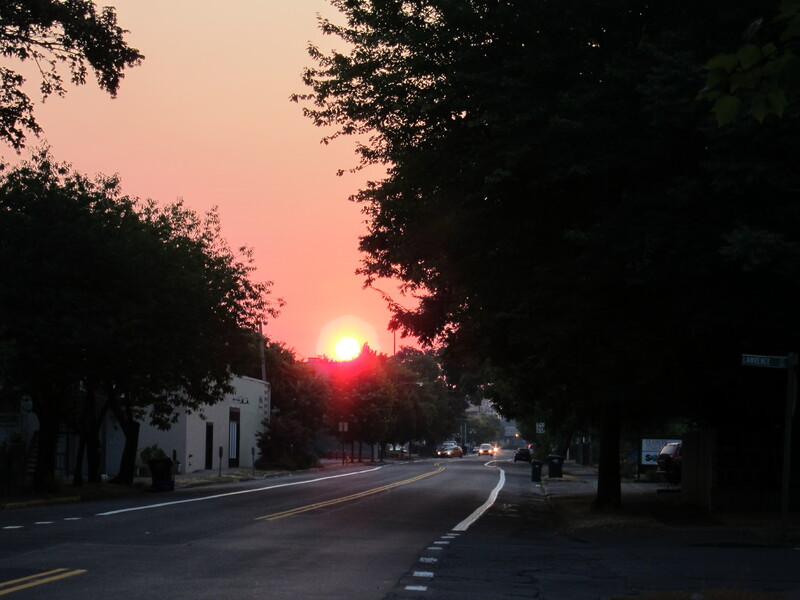 As I approached Lawrence St from 5th Ave to get to 105, the sun showed up. This photo reminds me that I have to adjust the clock in the Dakar. It was just past 7am at this time. By the the time I got on the freeway I started to get on the zone. On all my trips, it takes a few miles on the road for the relaxation to set in, and then I’m on some sort of adventure mode. Worrisome thoughts disappear, the expectation of what comes after the next curve, or mountain, takes over. Everything becomes fluid. And the bike was running great, the temperature was comfortable, just slightly cold. I thought about adding a layer, but I knew that as soon as the sun was out it would warm up, so I did not bother. 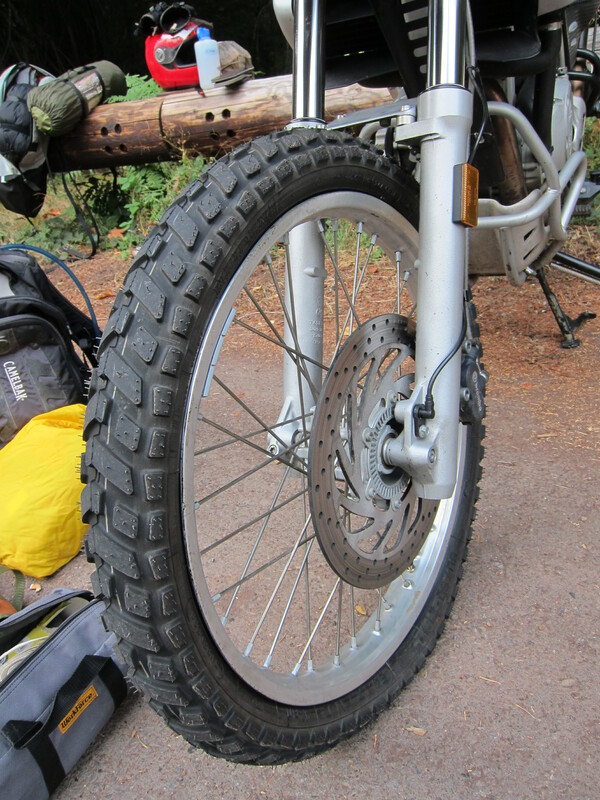 The bike had brand new Haidenau K60 tires, front and back. So I was taking it easy, running in the tires. As the time and miles passed, I was getting more and more in the zone. I was feeling absolutely fantastic, looking ahead for a great few days of riding! I could see myself arriving on the Page Springs campsite mid afternoon, my only concern was to find cold beer. I knew the guy on the campsite just next to Page Springs sold beer, but last year his refrigerator was not cooling them enough. But destine had a other plans. Warm beer preoccupations disappeared. 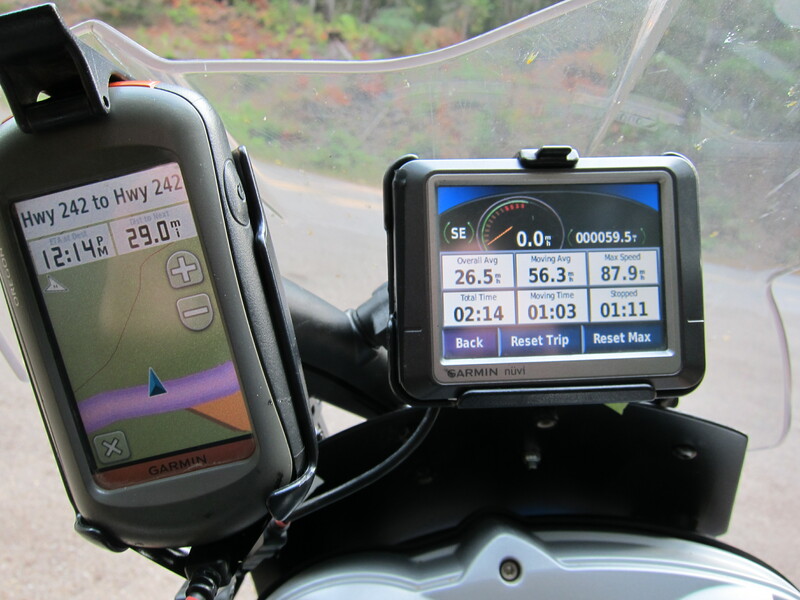 Once I turned from 126 to Hwy 242, towards the fun Mckenzie pass road, I felt the front end of the bike was soft and dragging. I looked down and there it was: a flat front tire! 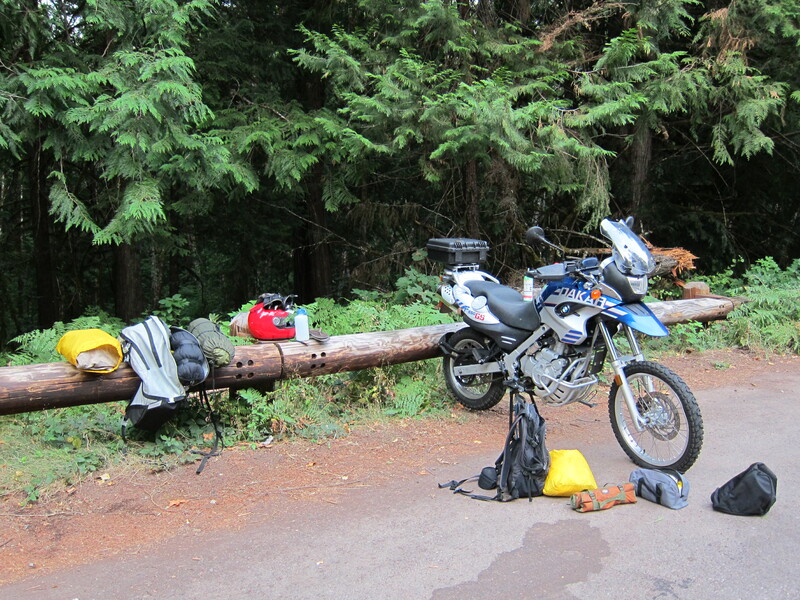 I parked the bike with the rear facing the log, got all my tools out, tied the rear down to the log so the front tire was up in the air (front tire was up in the air, not depicted on this picture). I could not see anything that could have created a puncture from the outside. Got all my tools out, spare tube, I was all set to fix it. And then it downed on me. 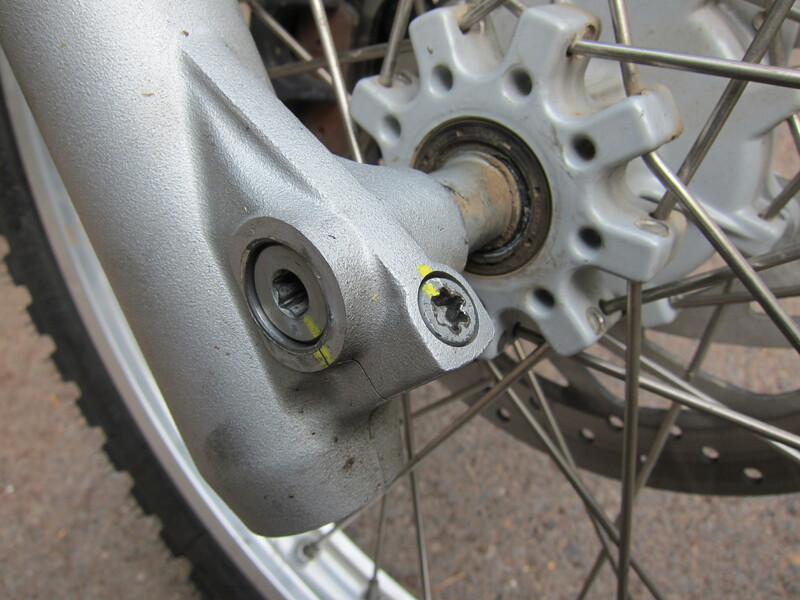 I did not bring the torx key to remove the front wheel. Bummer! I tried green slime, but the tire was still not holding air. Where is the torx key? It was still early in the morning, no one was passing by. As time went by I decided to call AAA. Even if someone stopped to help, I would be embarking on a trip to lonely places in the desert, without the torx key and by that time having already used up the spare front tube, if I had another front tire flat it would be trouble – especially not knowing what caused it. Something on the wheel? Add to it that all bike shops are closed on Sundays. And mostly closed on Mondays as well. And the time that something happened it could put me be on the high desert isolation too late on the day. Even though I had the spot satellite with me, if something happened later in the day, and considering the time it would take time for the help to arrive, I could as well sleep in the middle of nowhere. I could take a more traveled route, as an alternative. Bottom line is that I convinced myself that this was it. The ride was jinxed. 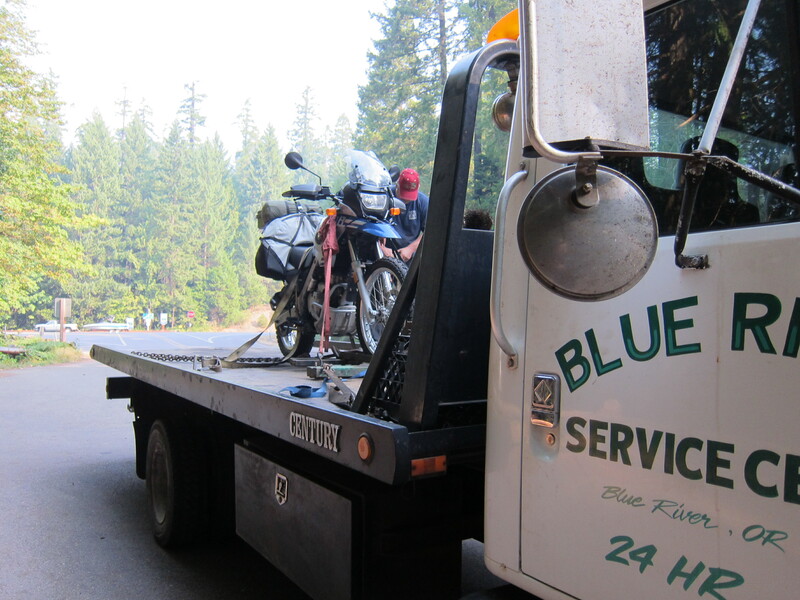 I repacked the bike and waited for the tow truck to take the bike back home. In less than 2 hours the bike was in the tow truck. 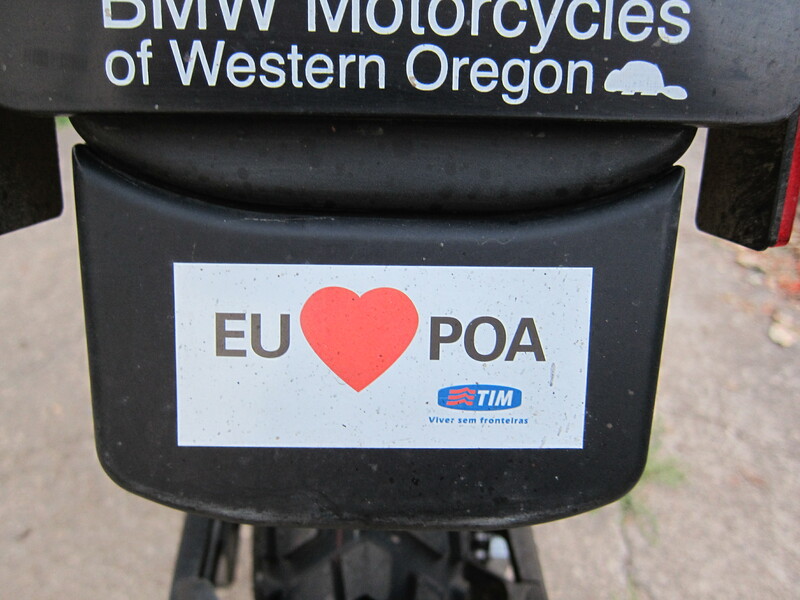 By this time many motorcyclists were riding by and I was now on the fence about my decision. I could possibly change my decision, borrow tools and fix it. But I went home and used my time off to take care of other issues that had been lagging behind. It was an adventure after all. A short one, 60 miles, but an adventure nonetheless. As a very small consolation prize I took the bike back to the shop where this tire was installed and they fixed it for free. They showed me the tube and the location of the very small hole. It does not seem like it was the result of an installation problem. It was not coming from an external tire perforation either, I had checked that, they confirmed it. Strange. That was it for this trip. Next year there will be more riding towards that area. After all, the Steens Mountain is not going anywhere. 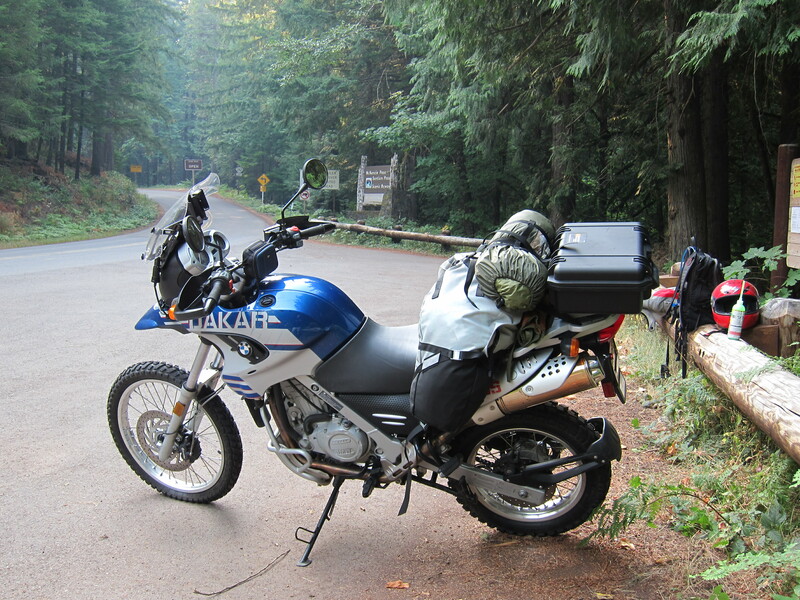 This entry was posted in Riding the BMW Dakar and tagged adventure riding, BMW, Dakar, F650GS, motorcycles, oregon. Bookmark the permalink.